Leads.su - Affiliate CPA network reviews and details. Leads.su is a russian affiliate network that uses the CPA model. Since 2010 the company is the leading aggregator of affiliate programs in the bank sphere in Russia and the CIS countries. 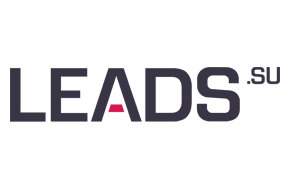 Leads.su company provides service more than to 50 leading Russian and foreign banks and collaborates with more than 40 000 webmasters. This affiliate CPA platform specializes on the financial and bank sphere. The source contains the maximum quantity of cradit offers. The platform is good to be used in symbiosis with Google AdWords.You can check Leads.su reviews and Offers on Affbank and ask Leads.su Team any question by using the contacts above, especially about how to earn money!